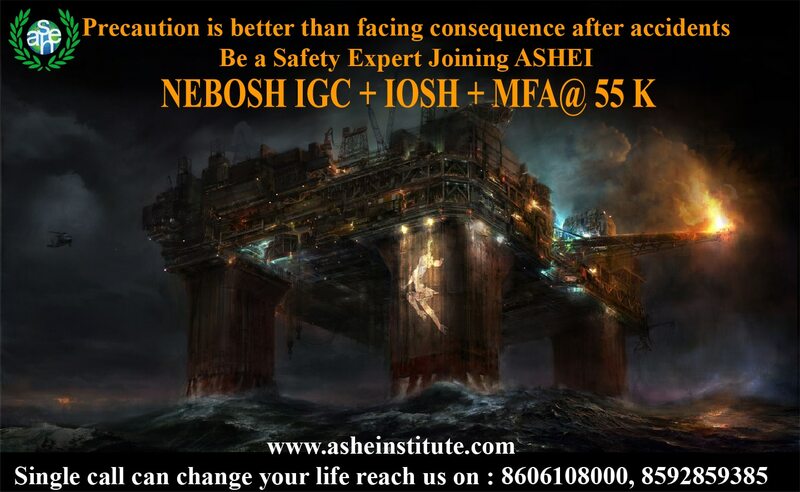 ASHE Institute conducts Industrial safety training. We provide Health, Safety & Environmental courses to meet your organizational objectives for in-company at your site and for our open courses on a diverse topic and sector specific areas. Fire prevention & Control, Confined space safety, Safe working at heights, Respiratory protection and Emergency response are a few services out of the myriad Industrial safety solutions that we provide.ASHE Institute concept was formed in 2008 at Dubai in the name of international safety consultants with OSHA training .It transformed to the present organisation with a remit to assist , train and encourage students concerned with matters relevant to the operation of the objectives of the health & safety at work.